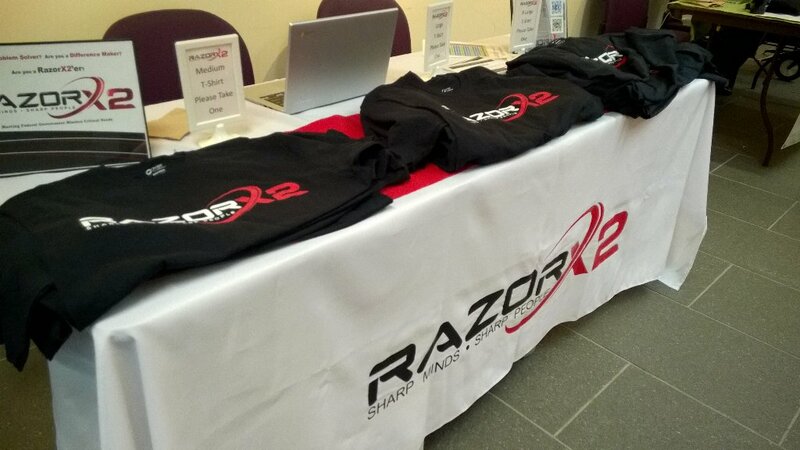 RazorX2 was proud to be a sponsor of RubyNation 2016, the Mid-Atlantic’s annual Ruby and Web Development conference. 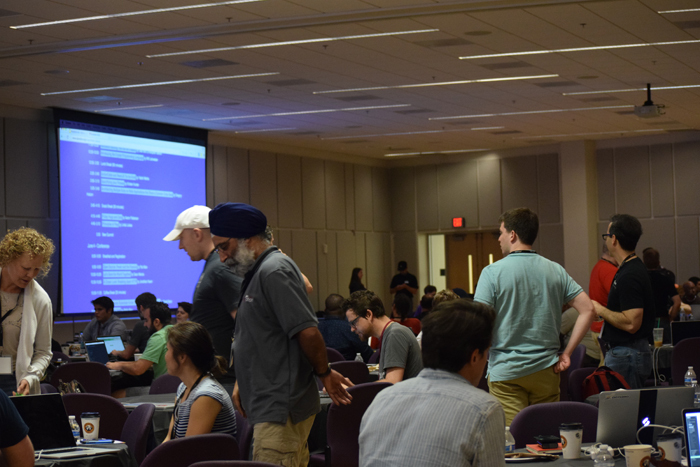 The conference was held June 3-4, 2016 at the GMU Law School in Alexandria, VA. The keynote speakers were long-time Rails contributor Aaron Patterson and Linda Liukas, co-creator of Rails Girls and author of Hello Ruby: Adventures in Coding. Our sponsor table complete with sweet RX2 gear! 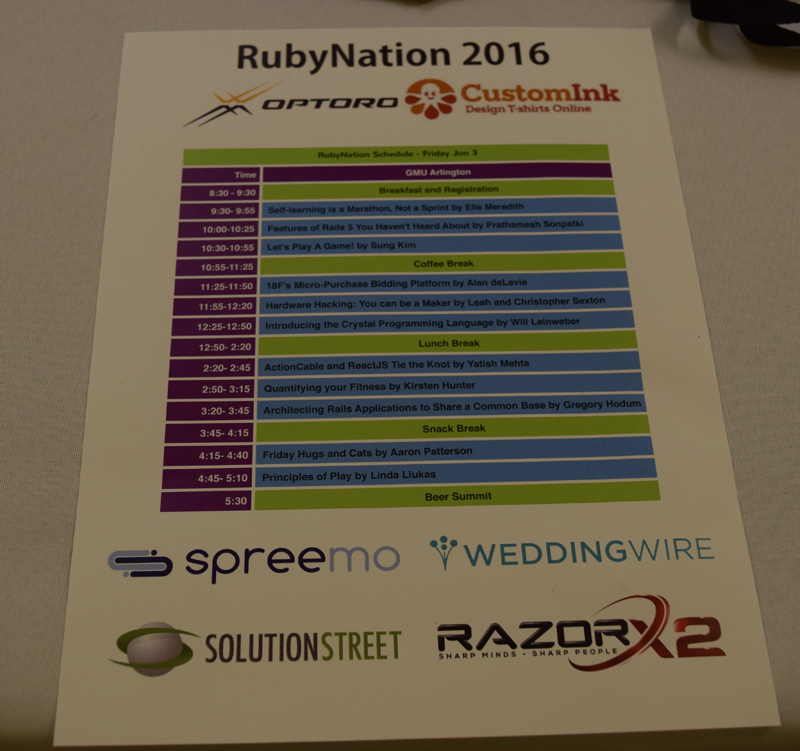 Speaker Schedule for Friday, June 3rd! Impressive crowd of RubyNation attendees. 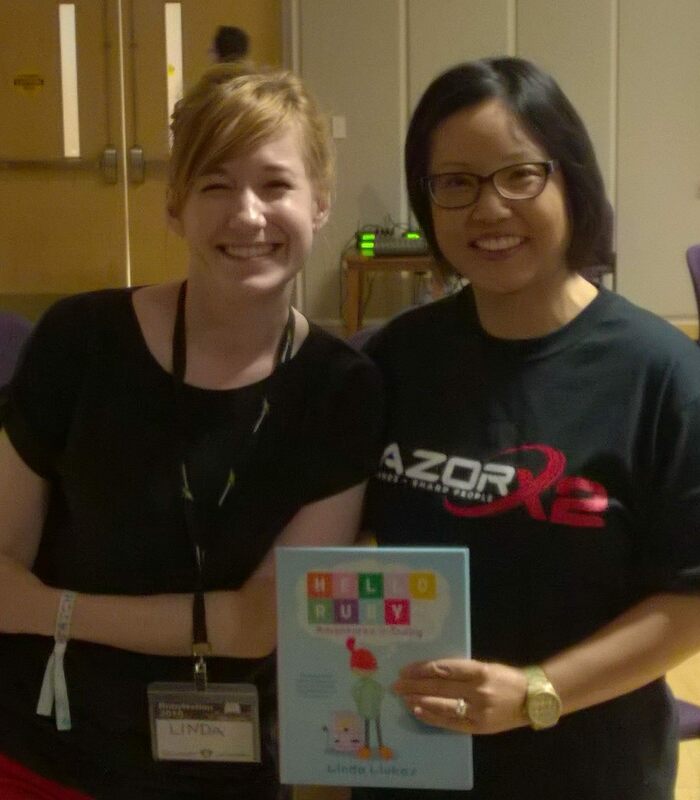 Julie a little starstruck with Linda Liukas author of “Hello Ruby,” a children’s book that teaches code. 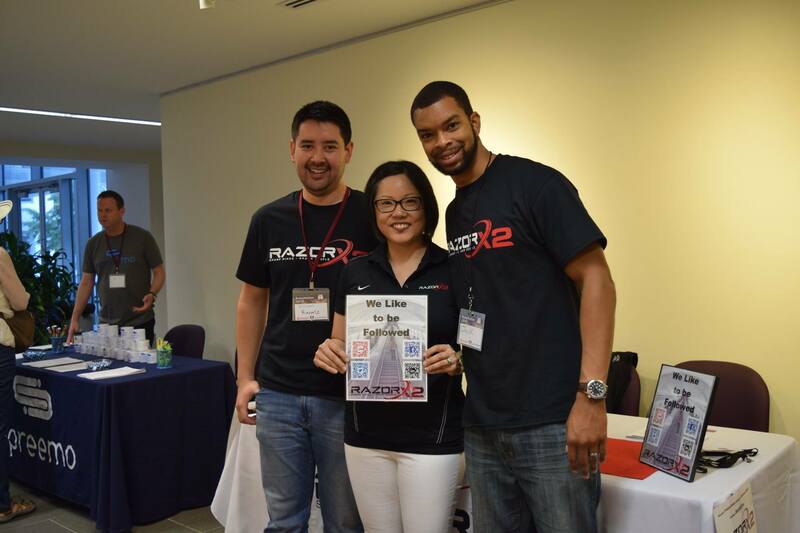 Team RX2 really enjoyed our first year at RubyNation! Thanks organizers, speakers, & attendees! We can’t wait to come again next year! !